I’d be lying if I said I wasn’t a bit down in the dumps this past week or so. The new puppy was a bright spot for sure, but now she’s sick and I’m worried and mopey about it this morning. A friend also has really sad news about their animal, and all in all I just want animals to stop getting sick or trying to kill themselves in a variety of unusual and expensive ways. Is that too much to ask? Probably, but that’s not what this post is supposed to be about. 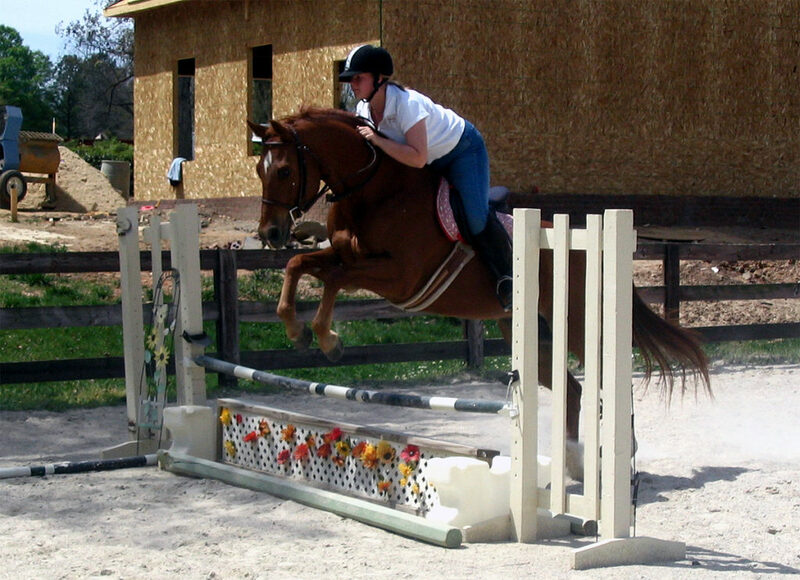 This post is about me getting the news that my heart horse, Elvis, is going to be retired. I sold him to a friend in 2008, and then he got sold again to a nice lady in 2010ish. She’s enjoyed him for years and I’ve kept tabs on him over email, but she recently contacted my friend that I originally sold him to and said Elvis was lame and needed to be retired. My friends are letting him back to their farm, and he will get to live out the rest of his days on 110 acres. He’s 20, it’s not unreasonable… but it has me really sad. I don’t know why. 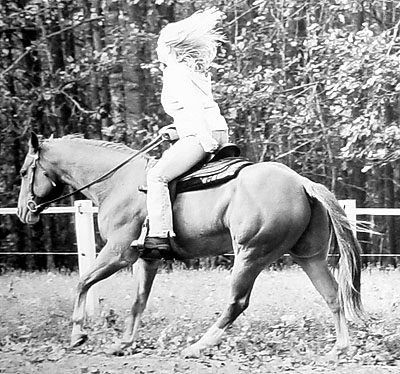 This horse gave me so much. He had his faults too, but most of them were me trying to make a show hunter out of a backyard Quarter Horse… all things considered, he did a phenomenal job. 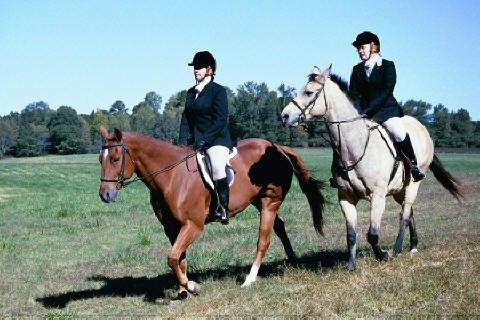 He carried me safely through two seasons of fox hunting when I was a kid. 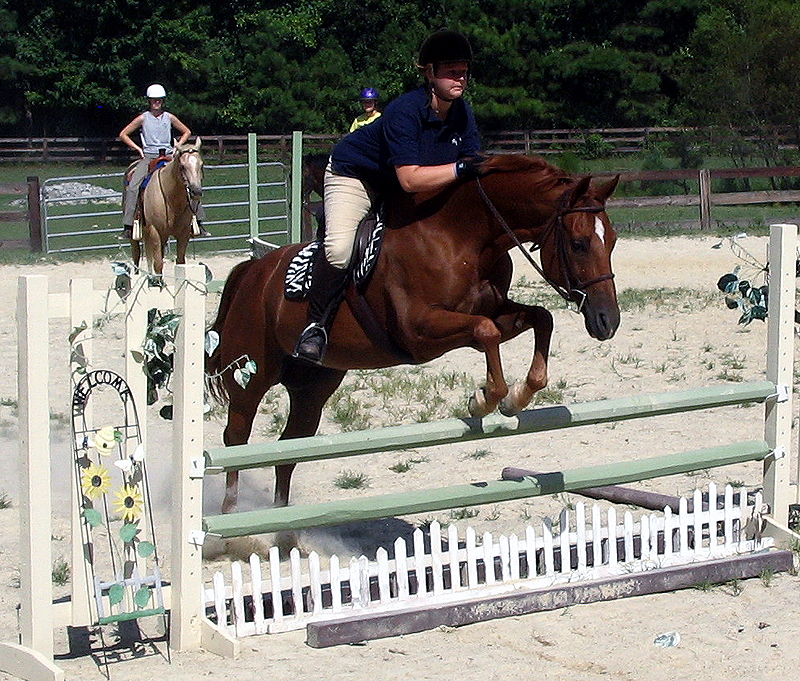 He went to college with me and patiently dealt with practicing no stirrups and equitation. He want to countless open shows where he would jump fences, stand for halter, do a zillion rail classes… all while god knows what was going on around him. This was a horse that I could load up by myself, would stand at the trailer all day, and show without a trainer or parent present. Did I mention I was a teenager at the time? He is good as gold. He’s earned his retirement 150%, but I’m still really sad about it. Retiring on so many acres and with a previous owner? Freaking awesome. Not every horse is as fortunate. Hopefully he’ll be close enough to visit? Yes. I should add that I couldn’t think of a better place for him to live out his life. It’s also down the road from where my brother lives in NC, so will be easy to visit when I go home. 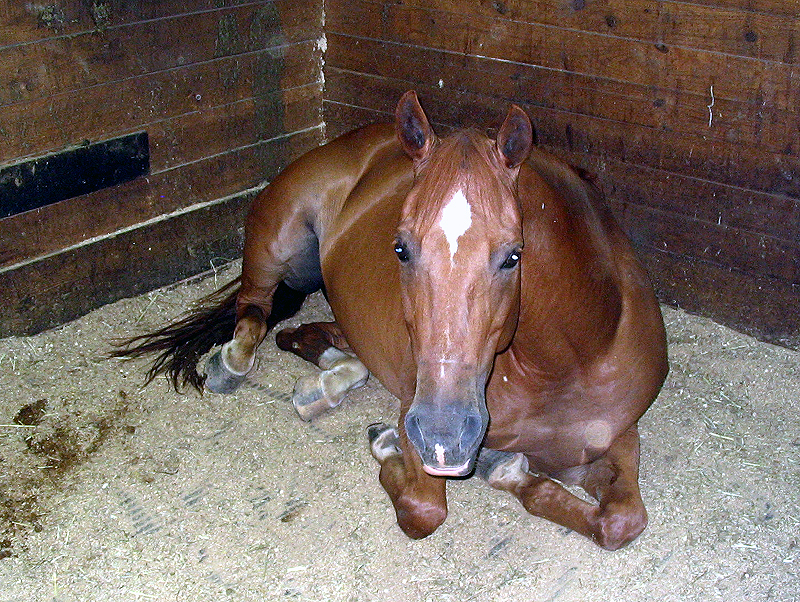 I think I’ve said it before but my first real horse, and my ‘heart horse,’ I got when I was 11 and had until he passed away at age 24, about 10 years later. 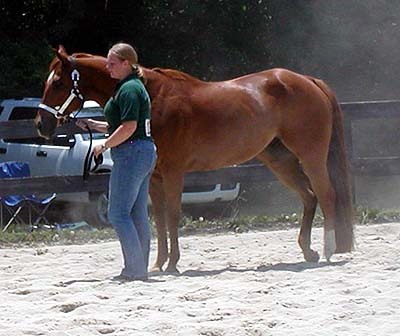 He was also a backyard quarter horse that put up with me trying all sorts of various disciplines, and excelling in just about everything. He wore his heart out for me. I had to retire him when he was about 21-22 when his arthritis started to get the better of him, and it was kind of a bummer. But I try to think that he had a great life and was well loved and taken care of, and spent his last two years doing what horses do best- grazing in a green pasture and running around with his friends. It’s hard to let them go, but all you can do is be happy that you got to know such a great horse and that you could give them a good life and a good retirement. And hopefully you can get in some good visits 🙂 I know it’s rough, but hang in there! I think that’s the big reason I feel so nostalgic to him, we had a very similar relationship that you did with your QH. I’m very happy to have known him and of the wonderful home he’s going to. Perhaps just too melancholy for my own good today! Wow, if every little girl/teenager could have a saint of a horse like that to grow up with! Sadly I didnt, but I’m going to do my best to find one for my little girl! I remember Elvis! I believe I even rode him once out at Pepperwood when Ivan was lame- Elvis is an all-star kind of guy. Those sweet all-rounder types like him are worth their weight in gold and I wish him the happiest of retirements! Perhaps you are mourning time moving on, the last of your childhood spiraling away into the past, and the injury to a beloved animal. It is difficult to say the least to see the animals of our hearts slow, turn grey, limp and grow old. Mortality happens to us all. It is the Price of the Ticket, as Mark Rashid says, of having these huge, wonderous animals in our lives. Be thankful that he will be retired and not sold to lesser and lesser work, to disappear in animinity. Hugs and love to you. It doesn’t ever get easier. Hate to hear that he’s being retired, but man, whata life. Quarter Horses…I know you know how much I love them, but I just have to say it again, they have so much soul and love to them. What a complicated feeling! Try to look on the bright side, that you have all these wonderful memories of him, and know for sure that he is safe, happy and living it up in retirement. He sounds like he is one stellar guy. Change is tough, and so is watching our friends grow old; even the good changes and newly opened doors mean the end of something else. I think a certain amount of ambivalence makes perfect sense, especially this time of year. What a cute fellow Elvis is; I hope he has a wonderful retirement (and that your puppy is feeling better ASAP). Thanks. I think it’s the “end of an era” feeling more than anything. Well that’s sad but also good that he has an awesome place to retire. What a handsome boy! Sounds like he is a good horse. Sorry to hear that he is now lame and has to be retired. Happy retirement to Elvis! He certainly did earn it. So he’ll be back with Crystal and the gang, then? He’ll be happy there! Junior (Elivs’ cousin, for those of you who don’t know) has basically been retired, too. My mom hops on him every once in a blue moon, but he never does any real work anymore. They come from a good line of horses, I think! Glad he found a soft place to land. 🙂 He sounds like a great horse. Gosh, Elvis reminds me so much of Visa — every horse-crazy little girl should be as lucky as us! Sending hugs your way and I hope you get to visit him soon; I think seeing him so happy will make you feel better. And, of course, tomorrow when you’re not feeling quite so down in the dumps, remember that not all of us have been so fortunate as to see our old guys retire to a wonderful pasture. There were/are many days I wish Visa could have made it to see the age of 20. I understand the mixed feelings but definitely a great situation to know that he will be allowed to have a nice, safe retirement. Hugs! Sorry you are feeling down. Sounds like Elvis was and is an awesome horse! It’s ok to be sad! Elvis represents a huge part of your life that is now “officially” over with his retirement. But take comfort in the fact that he is basically livin’ the dream as far as being a horse is concerned! Sorry to hear that he is retiring for being lame! Poor guy! At least he will have a great home and live out his retirement being happy! That is a special opportunity for most horses!